I really enjoy using Bumble. As well as it being a somewhat cleaner-cut dating app in comparison to Tinder, I like how it equally prioritises the forming of female friendships with its Bumble BFF option. Thanks to Bumble BFF I've made a couple of new friendships in the last year, and I aim to utilize the app in this way even more in the future. 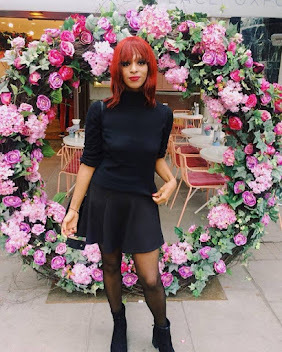 Bumble have also recently covered all bases by introducing Bumble Bizz, a networking option, which I also plan to start using. 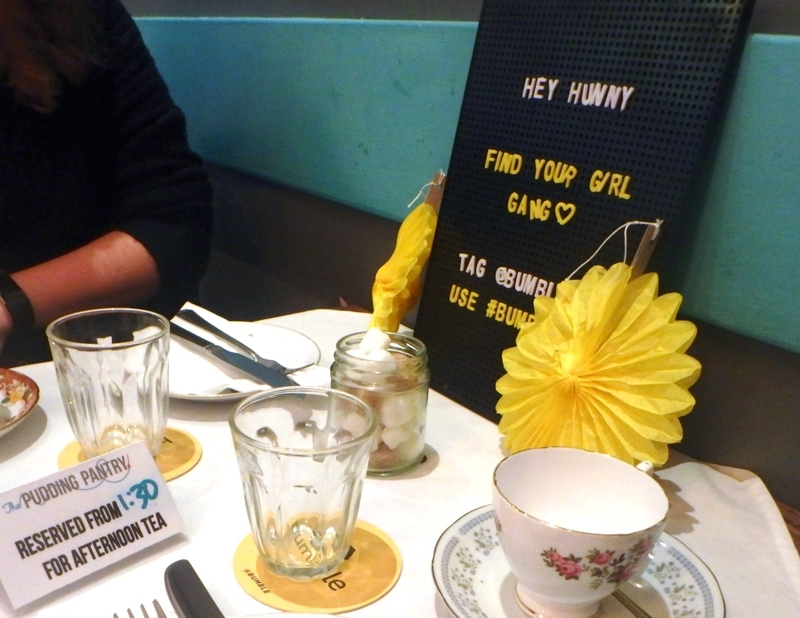 With all that in mind, I was intrigued to find out the Bumble BFF have recently started hosting regular events for girls to get together and make friends whilst taking part in various activities. And towards the end of December, Jess from Jess Who - who is taking care of the Nottingham BFF events - kindly invited me to one. 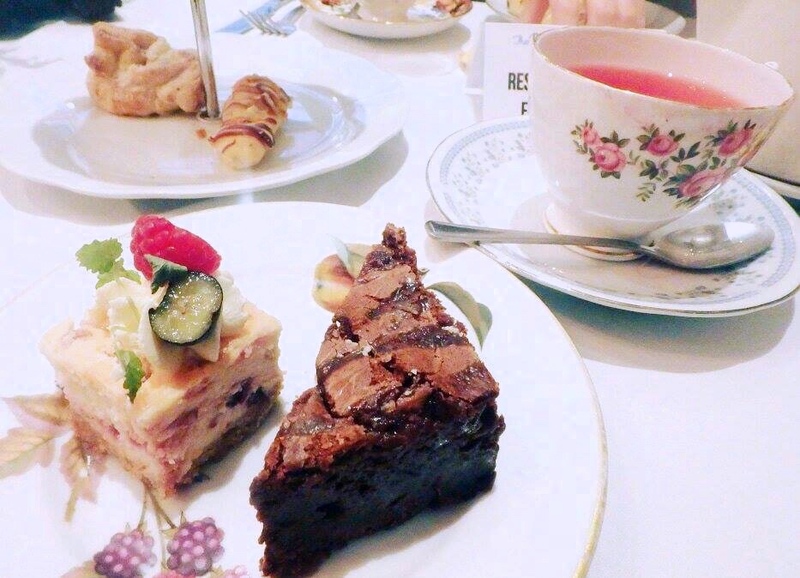 This event was to be a relaxed Sunday Afternoon Tea at Nottingham's The Pudding Pantry, just a week before Christmas. In usual fashion, I had never set foot in The Pudding Pantry before. But as well as always hearing good things about it, I had eyed it up longingly many a time after visits to The Gym, which happens to be adjacent to the Pantry. 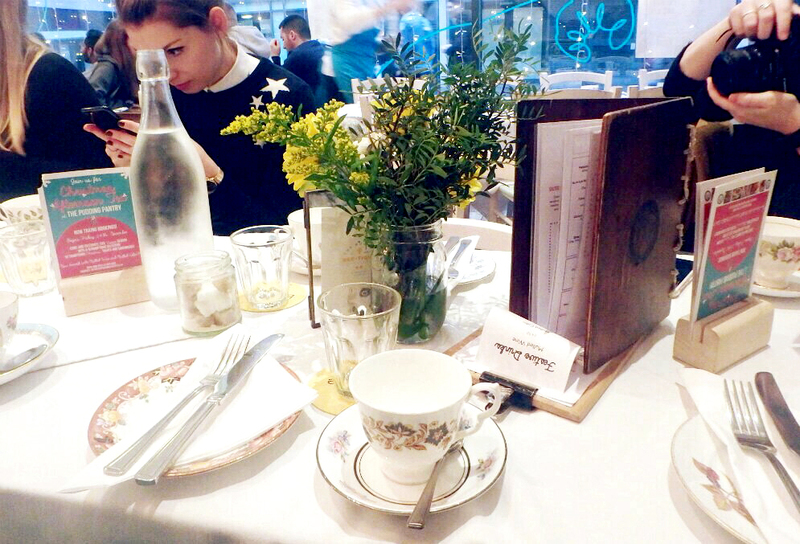 The day of the Afternoon Tea found the inside of The Pudding Pantry - already itself very pretty - embellished with flowers and balloons the shade of Bumble's bright and sleek signature colour, strewn on and alongside two long tables lain with China tea cups. 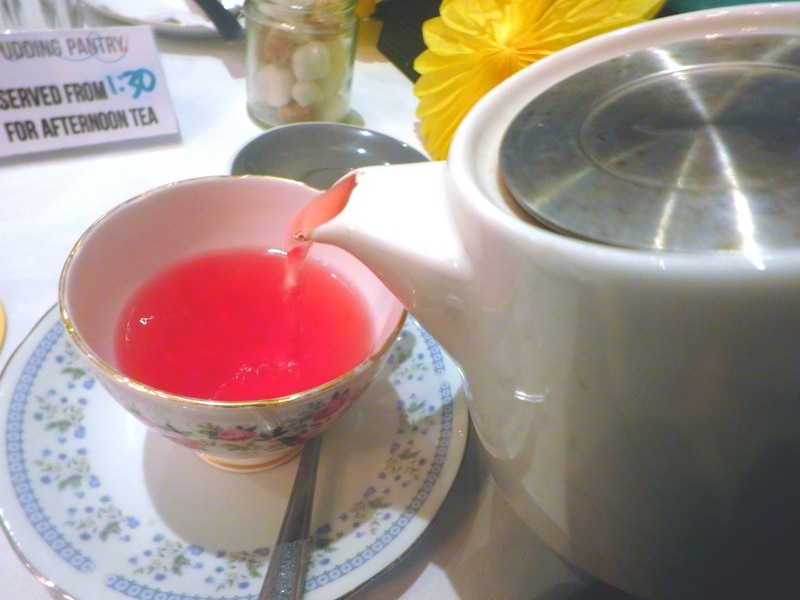 As I settled into my seat and began to catch up with fellow bloggers and chat to new faces, we were all soon prompted for our tea orders. 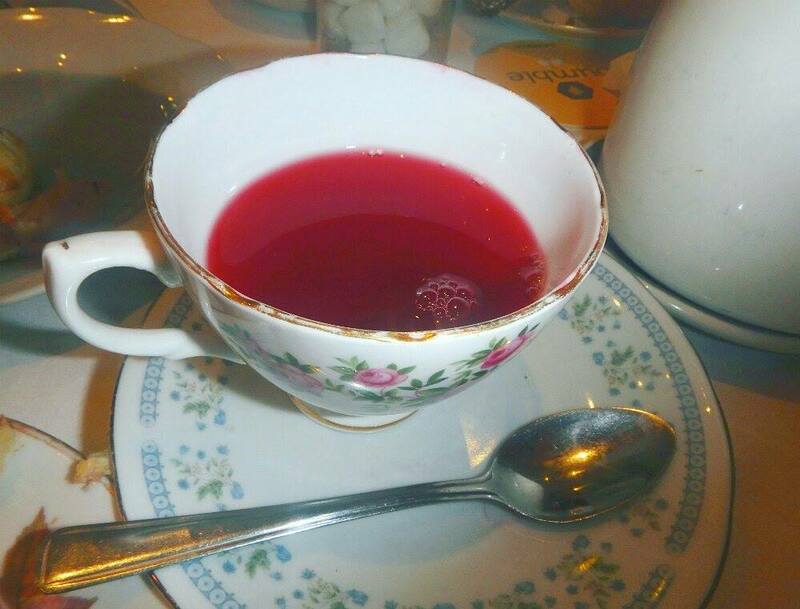 Then I was shortly served with my choice, which was the Mixed Berry fruit tea. It was both tasty and aesthetic. 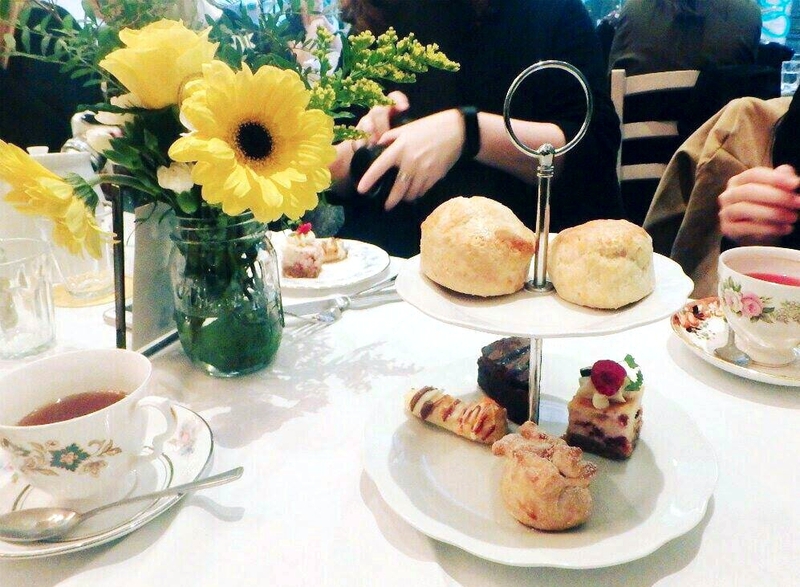 Then we were served cakes. Here my nut allergy came in handy, as I was given a whole stand of nut-free treats to myself. 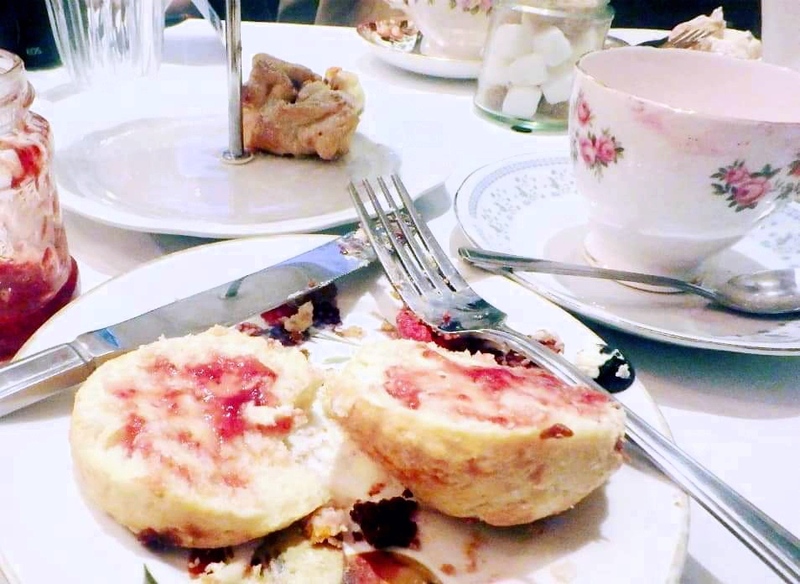 I started with a scone, which I really enjoyed, even though I don't have scones often enough to have a reference point. 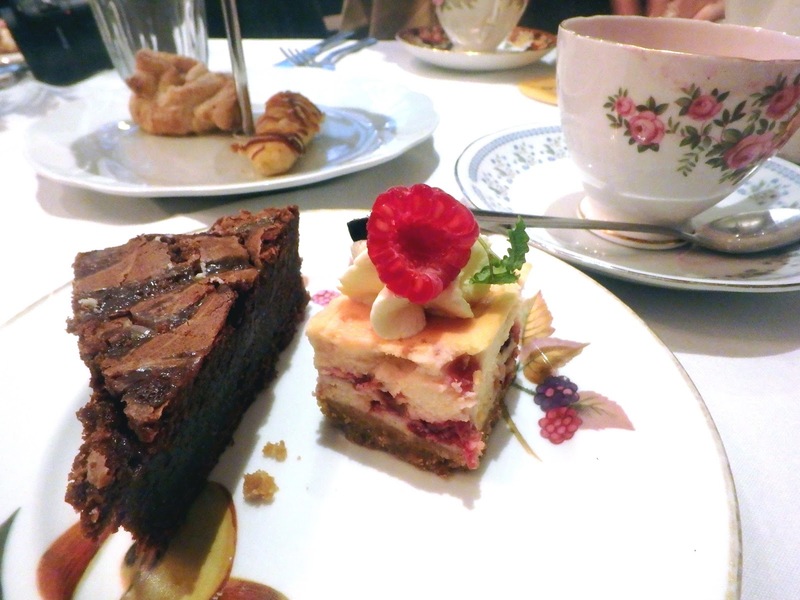 But I am certain that the brownie slice and cheesecake were amazing. I saved the mince pie that was given to me for my mum, who was visiting the next day, and she said it's the best she'd ever had. Shortly, trays of sandwiches were passed around, containing unique and festive options such as Brie & Fig, Pumpkin & Feta and Turkey. 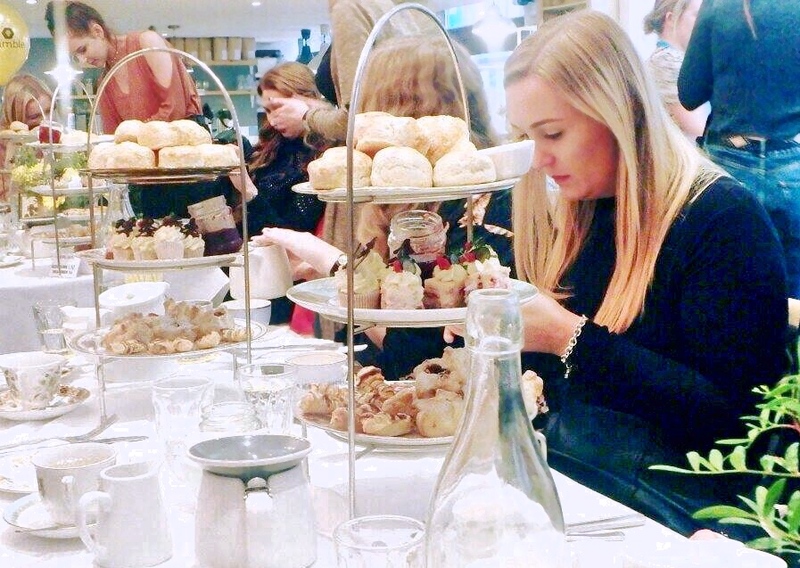 I actually didn't get to try any of the sandwiches, as by then I was full on cakes, but I regretted not doing so later! 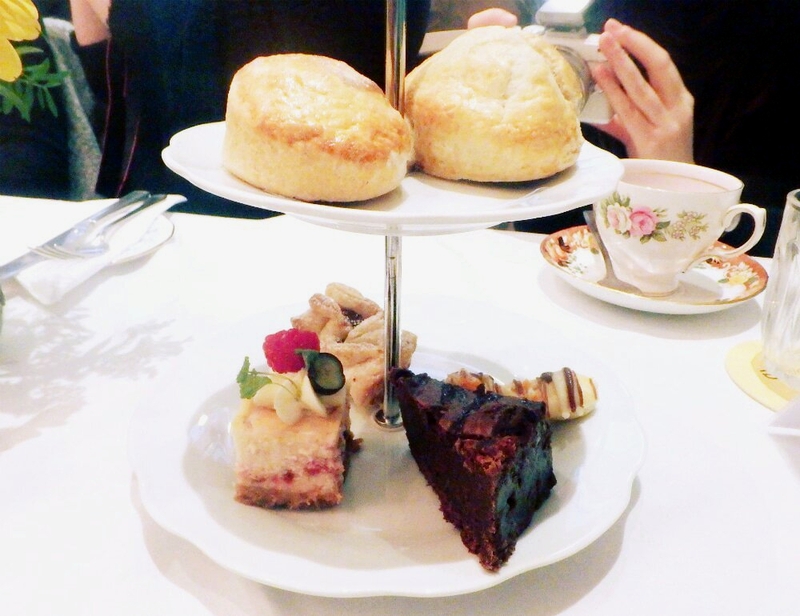 Overall I enjoyed the Afternoon Tea. 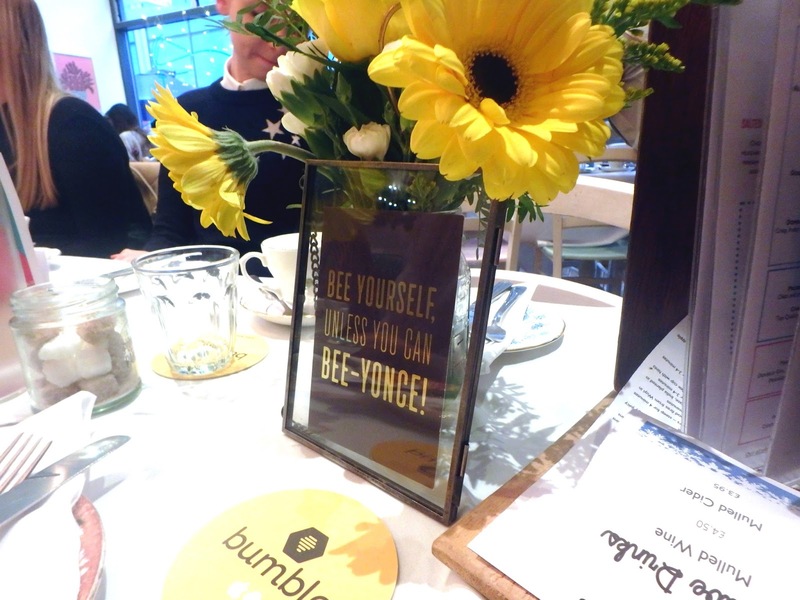 It was a nice event which aligned with Bumble BFFs ethos of the importance of female connections. 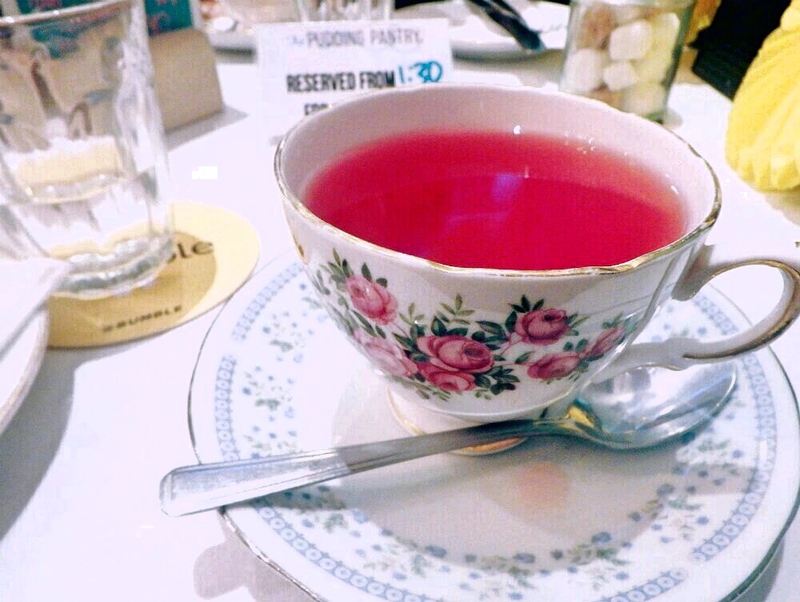 And the Tea itself was amazing. 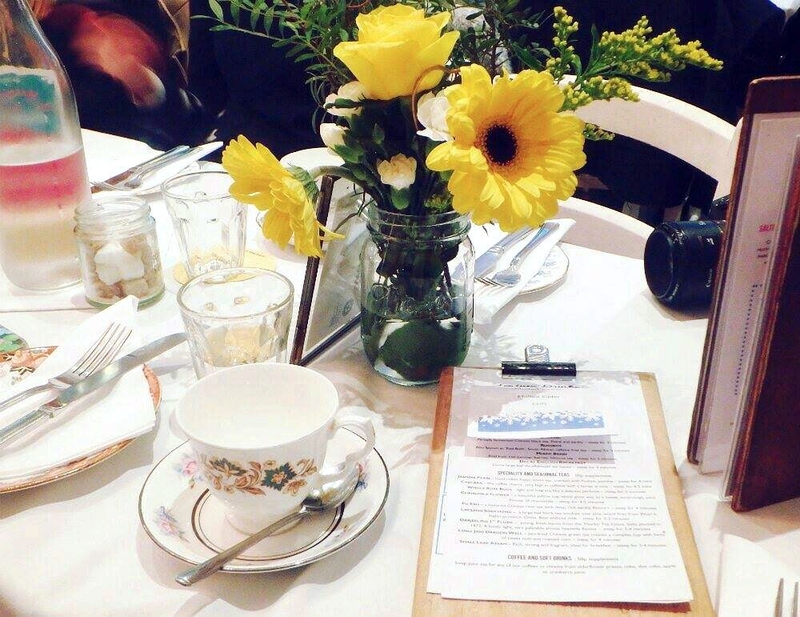 I left the event very full and with The Pudding Pantry added to my growing list of food places to visit regularly. 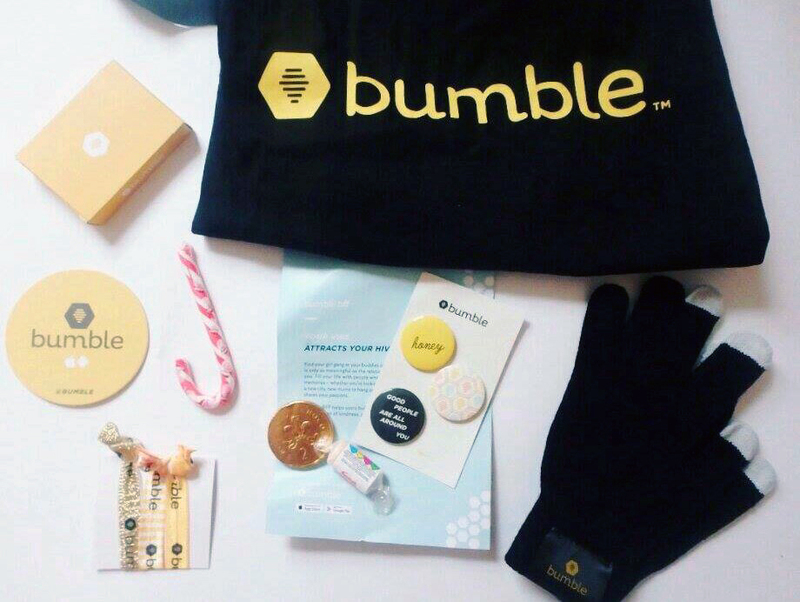 I also left with a goodie bag in hand, filled with cute items curated by Bumble. This included much needed gloves for the winter, chocolate coins and candy canes for Christmas, and playing cards for new friends. Plus more. 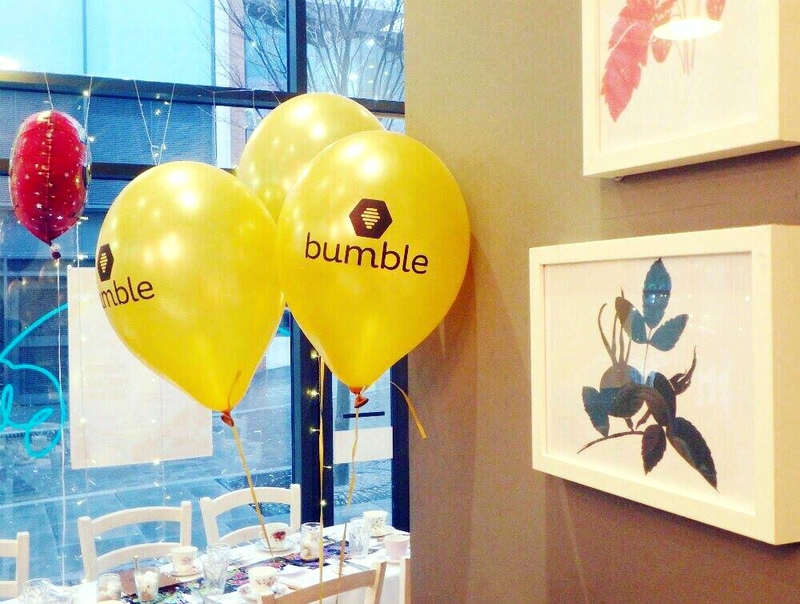 Thank you to Jess, The Pudding Pantry and Bumble BFF for the event! Ahh that looks like it was amazing! It's always lovely to meet new people as well.